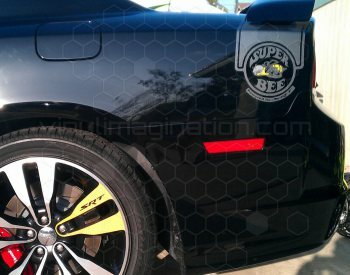 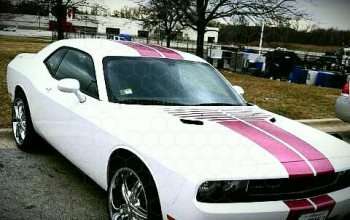 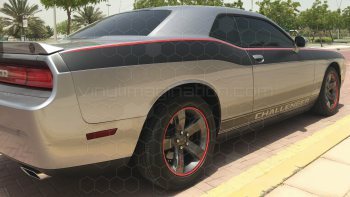 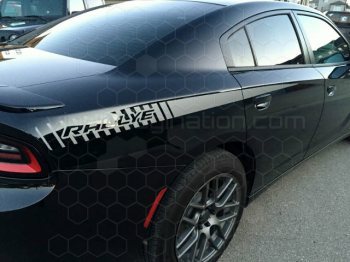 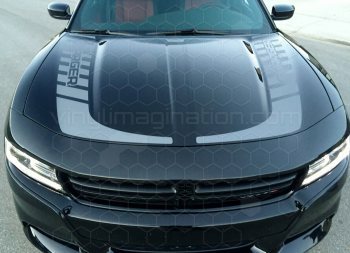 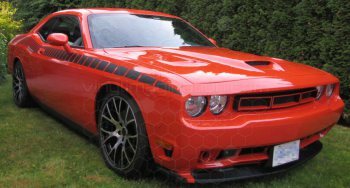 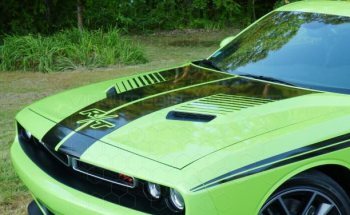 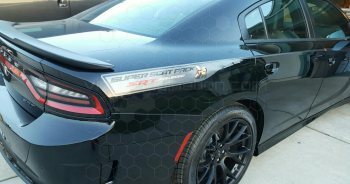 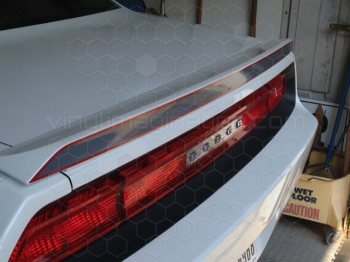 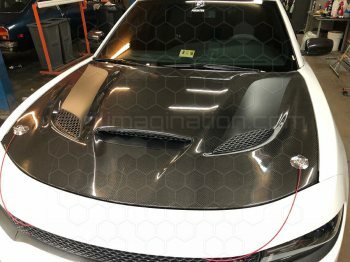 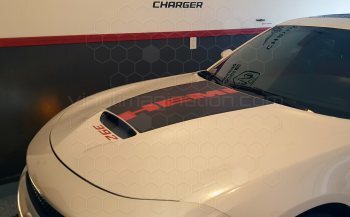 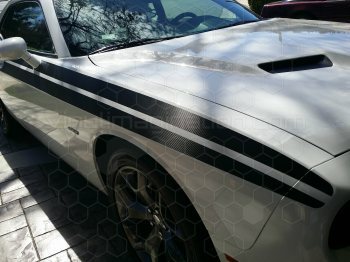 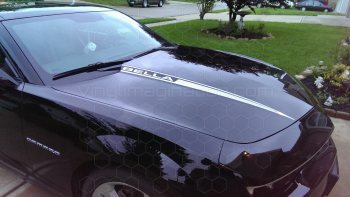 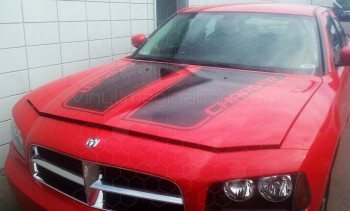 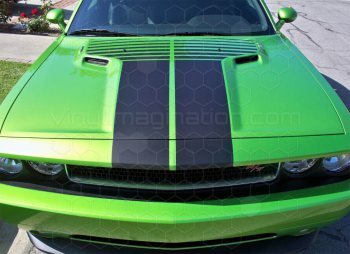 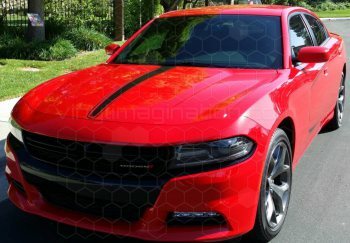 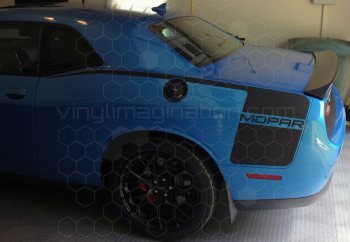 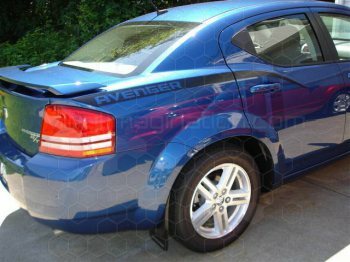 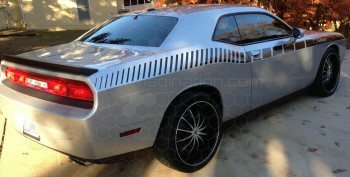 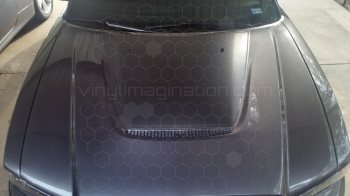 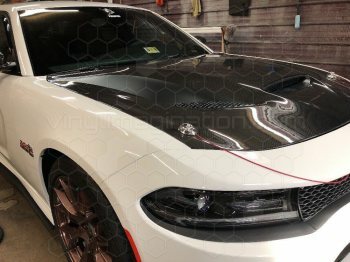 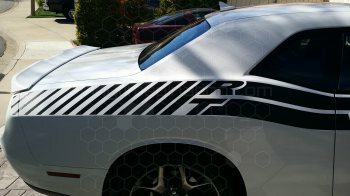 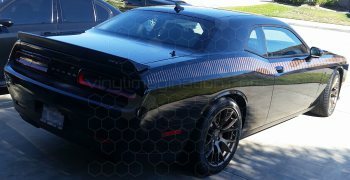 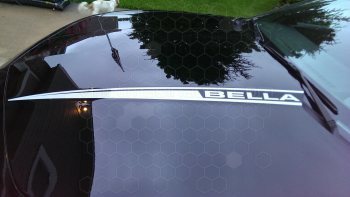 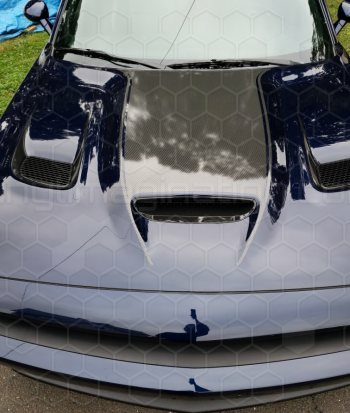 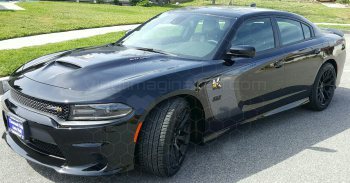 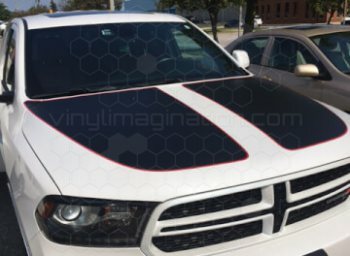 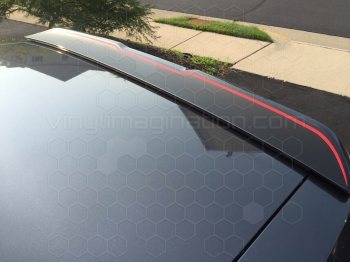 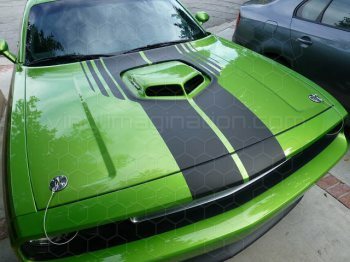 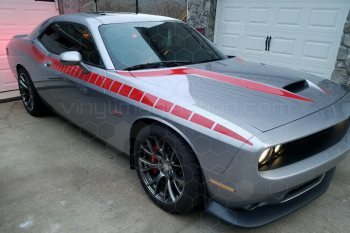 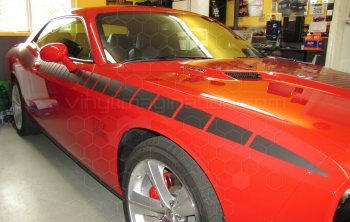 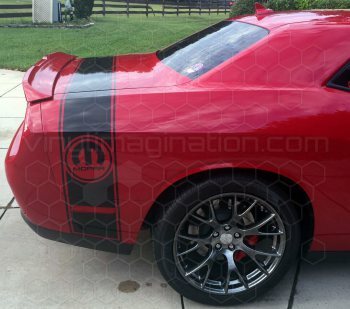 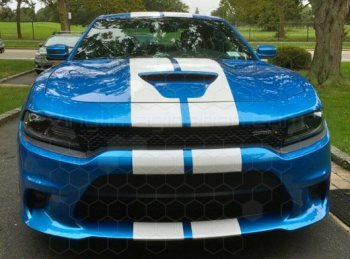 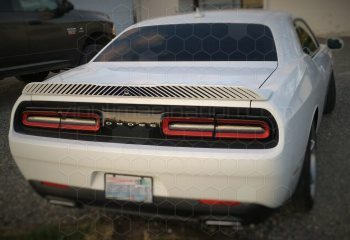 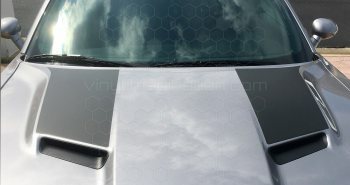 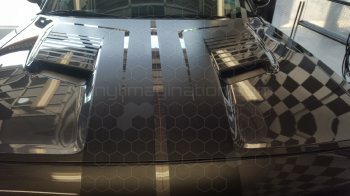 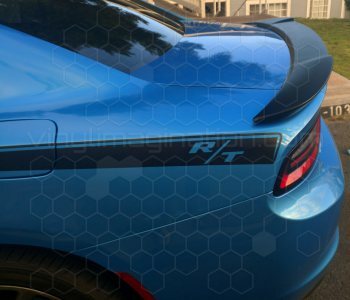 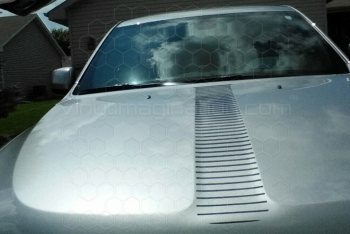 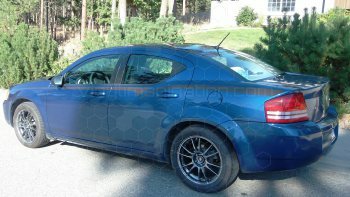 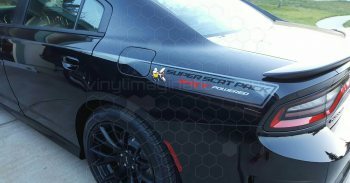 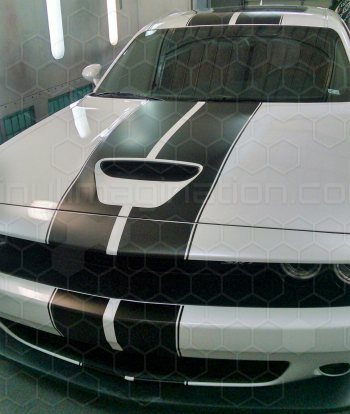 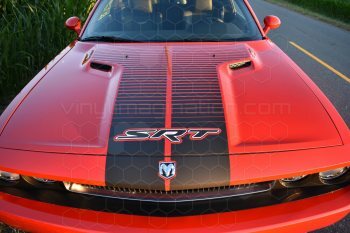 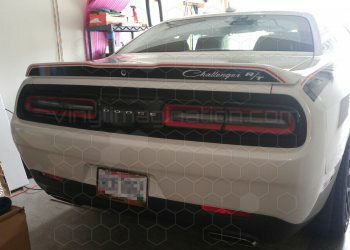 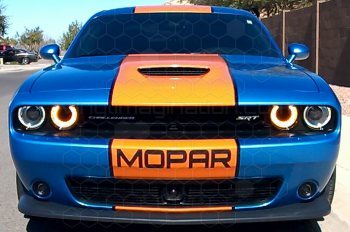 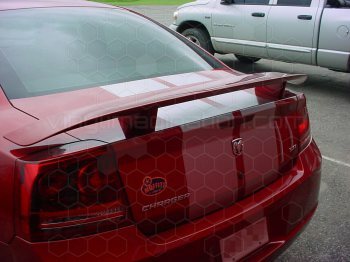 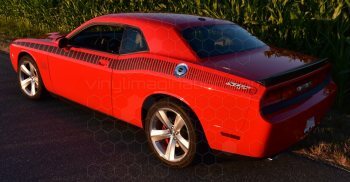 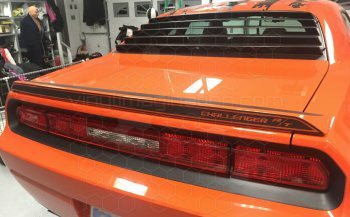 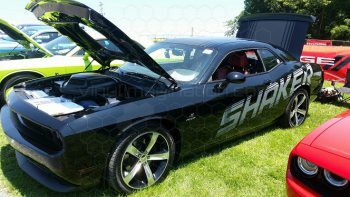 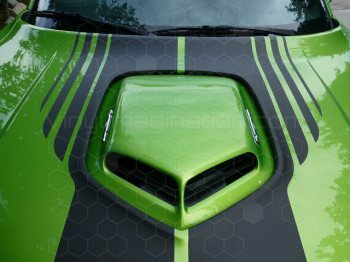 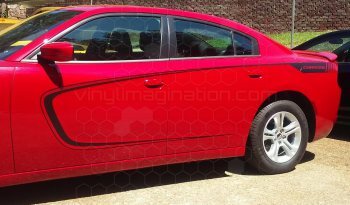 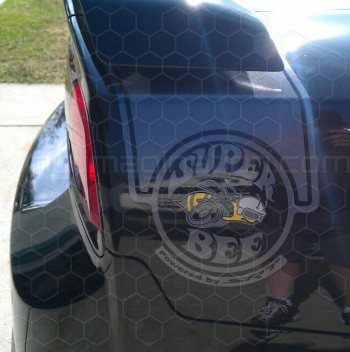 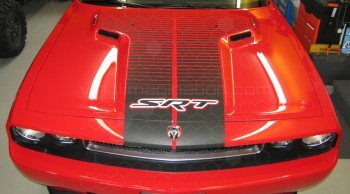 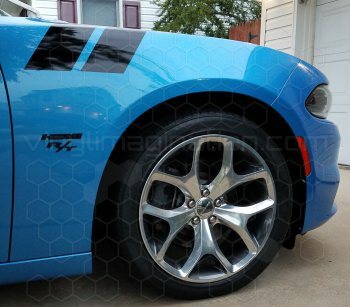 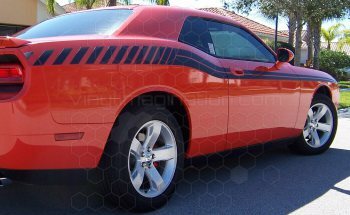 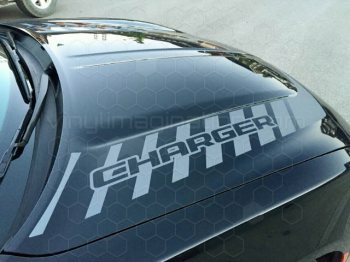 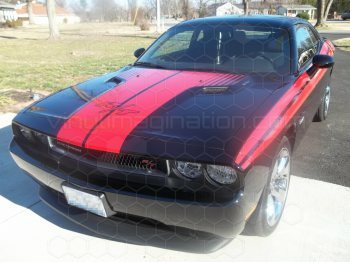 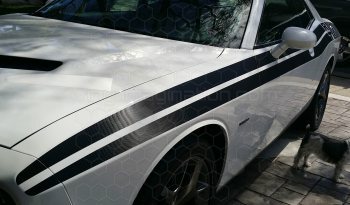 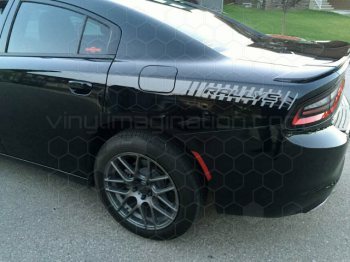 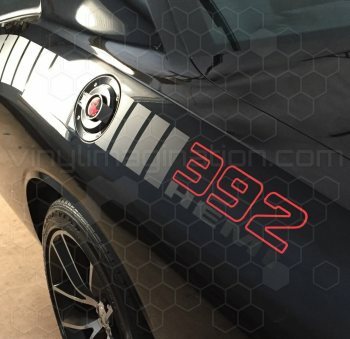 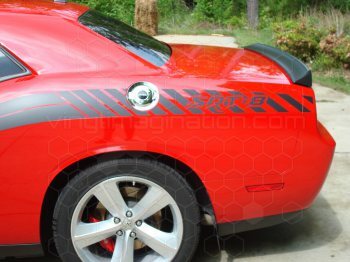 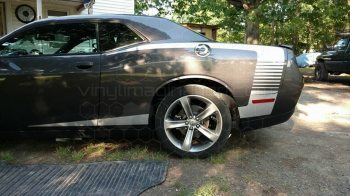 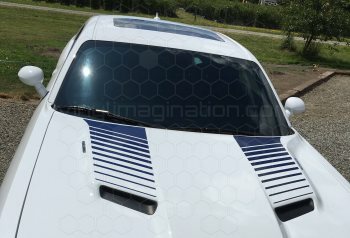 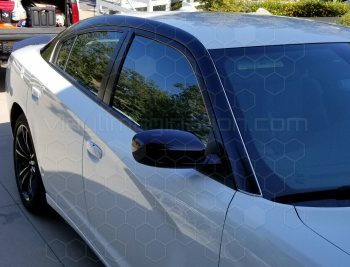 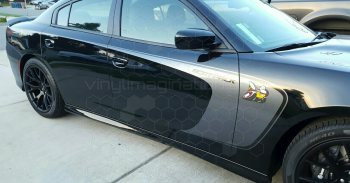 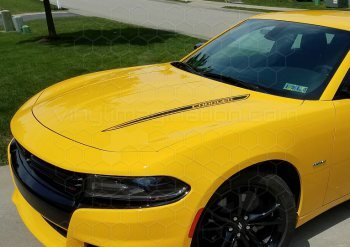 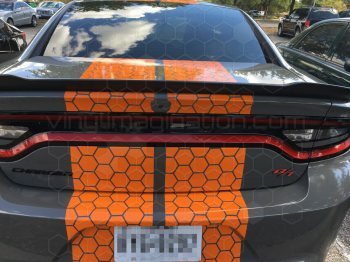 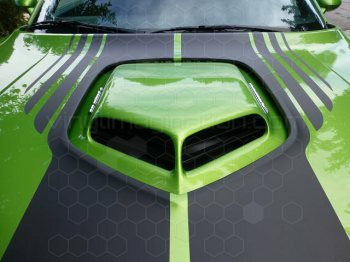 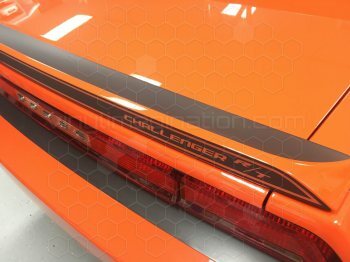 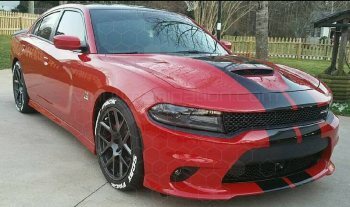 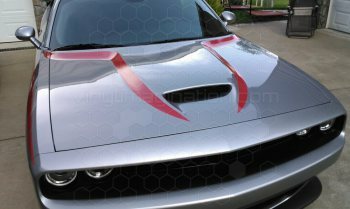 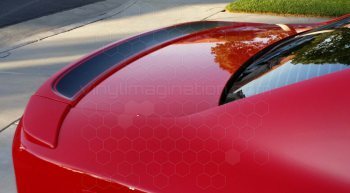 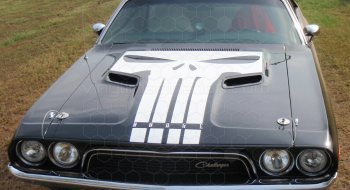 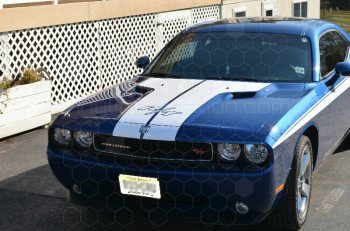 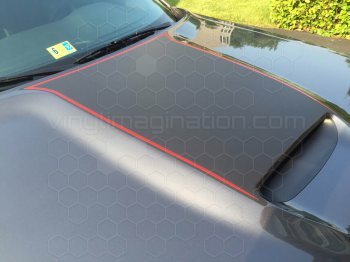 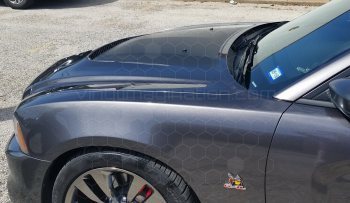 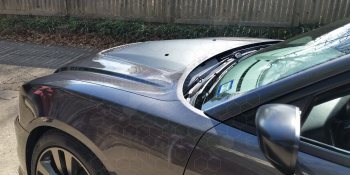 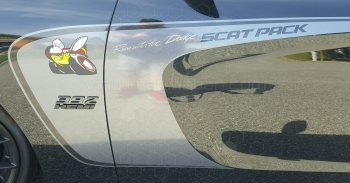 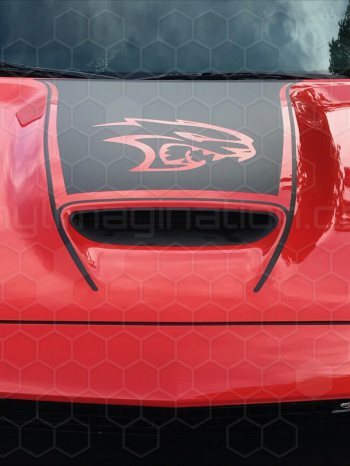 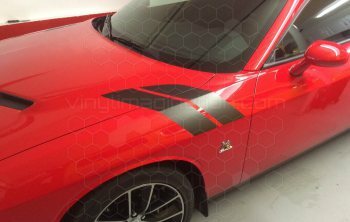 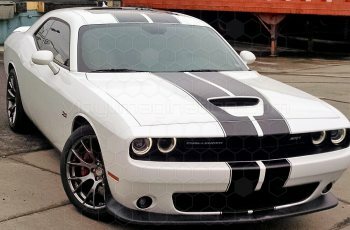 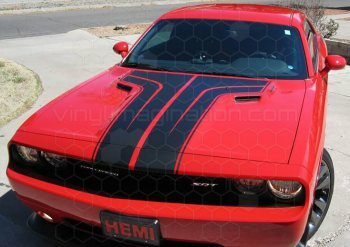 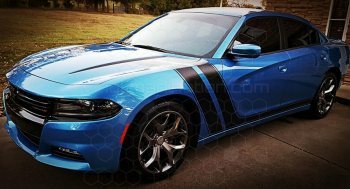 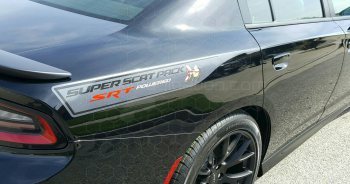 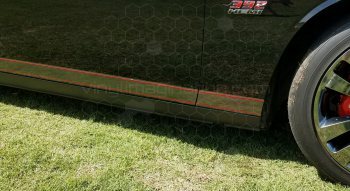 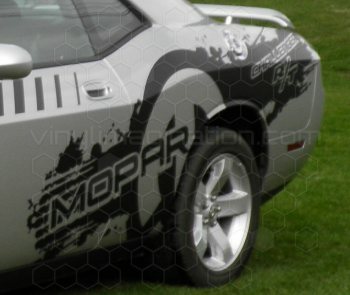 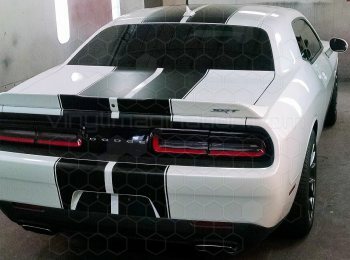 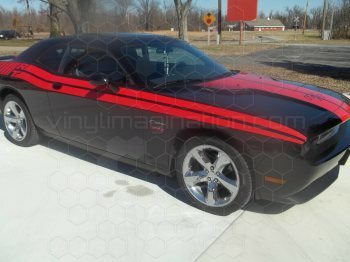 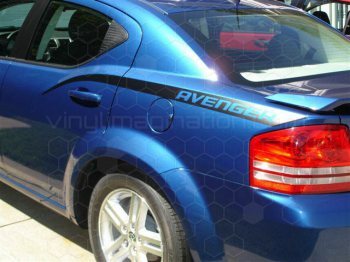 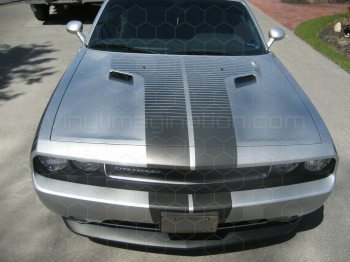 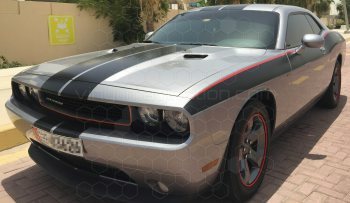 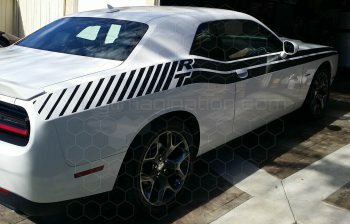 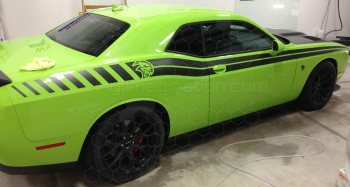 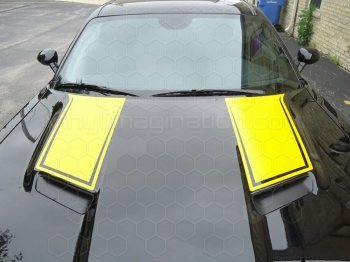 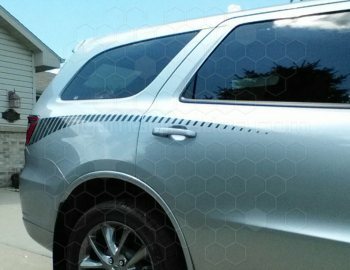 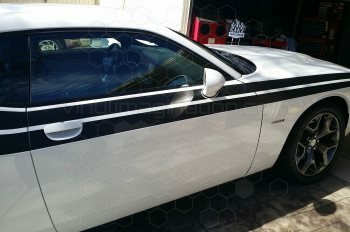 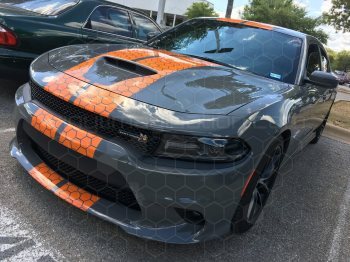 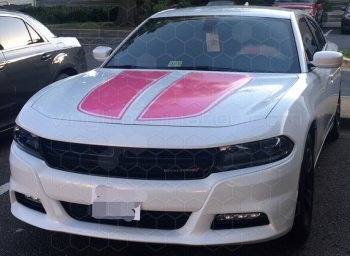 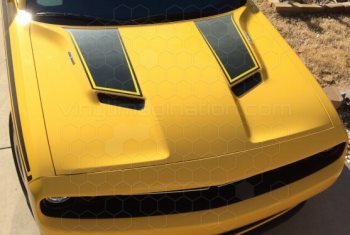 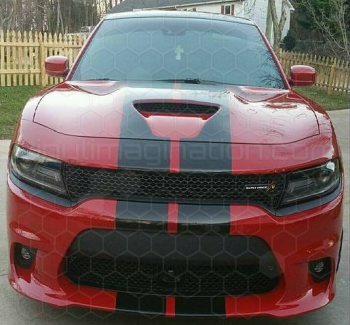 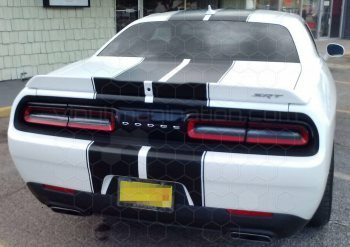 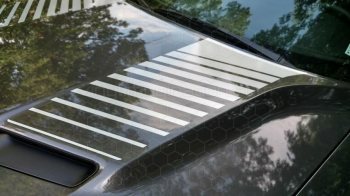 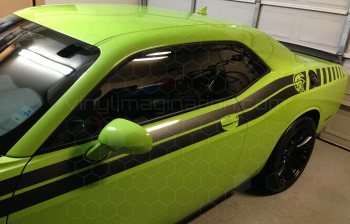 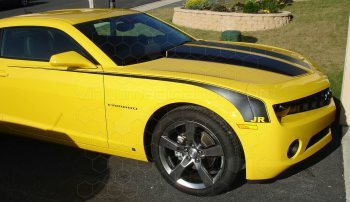 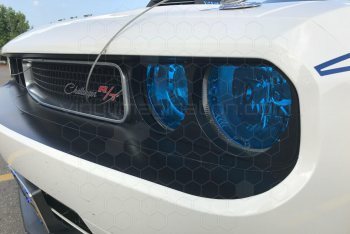 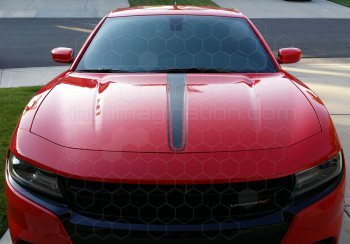 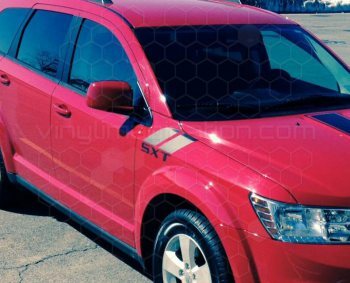 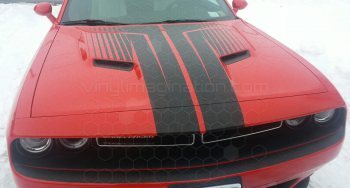 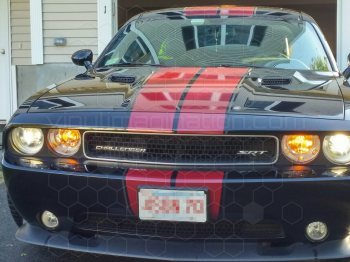 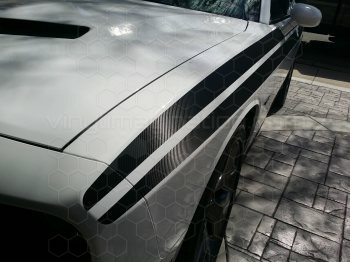 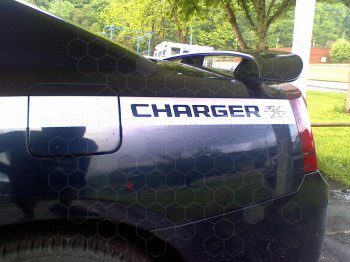 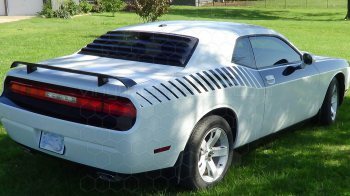 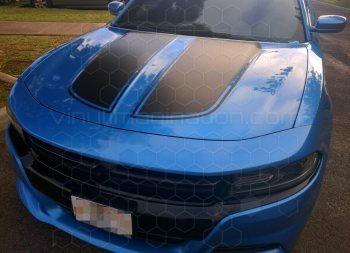 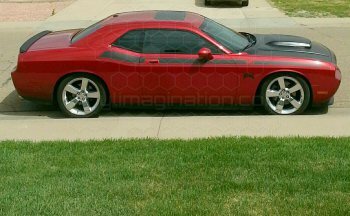 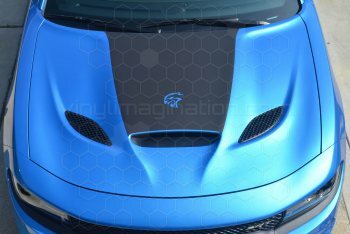 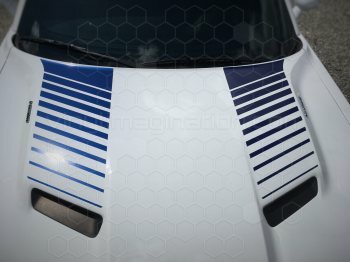 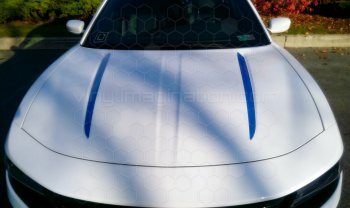 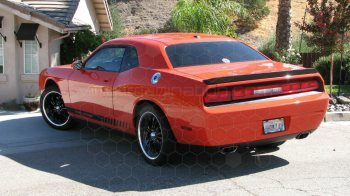 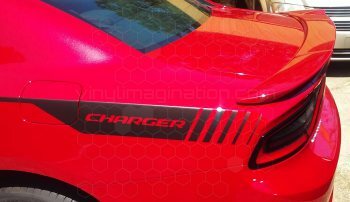 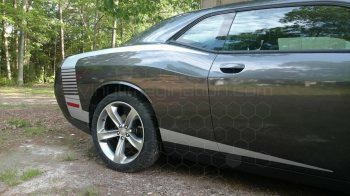 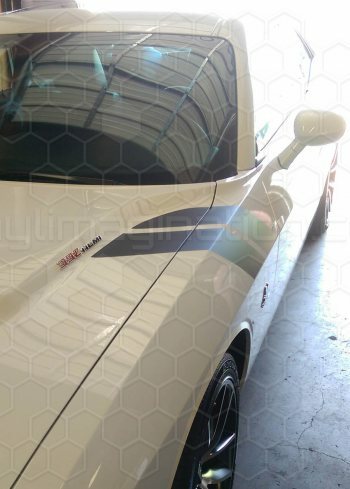 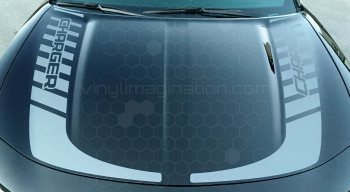 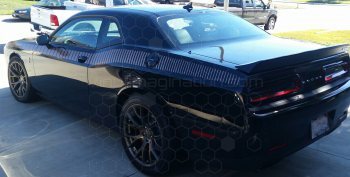 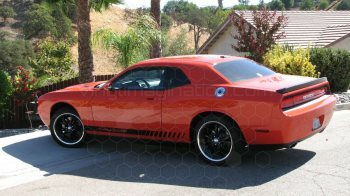 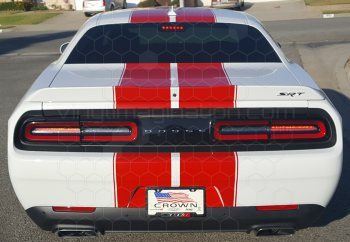 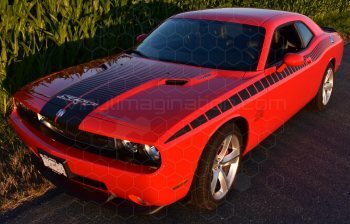 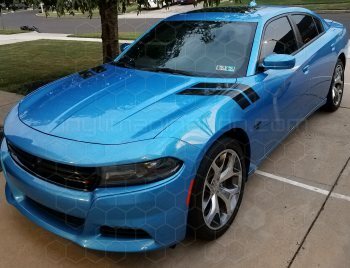 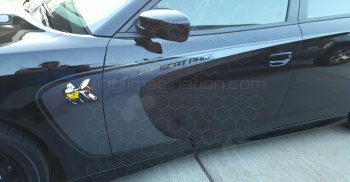 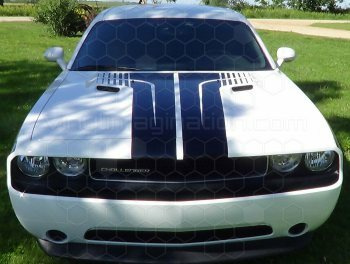 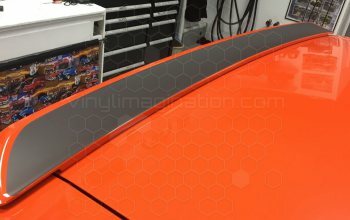 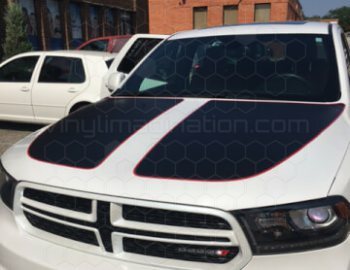 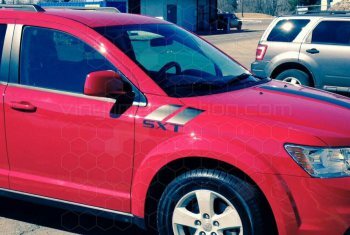 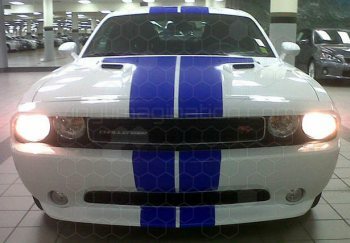 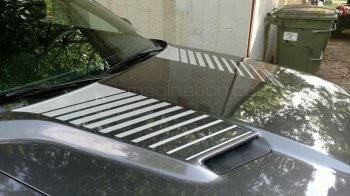 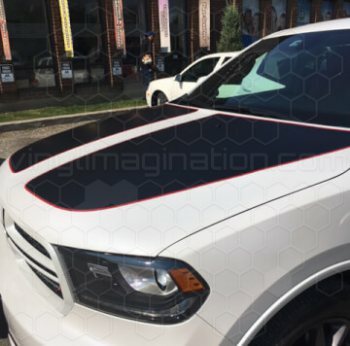 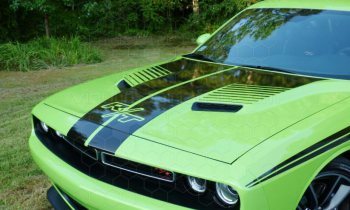 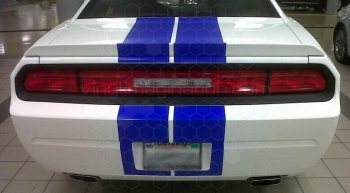 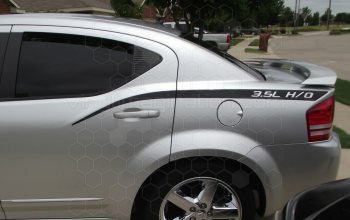 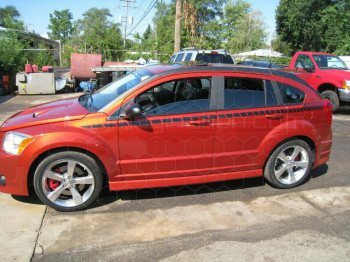 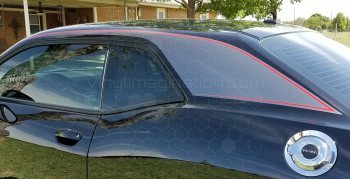 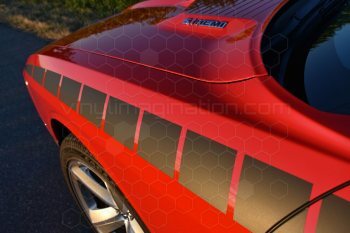 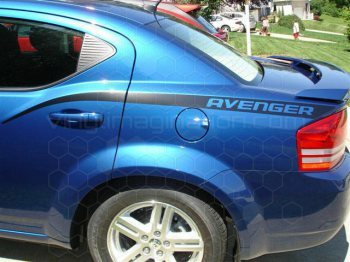 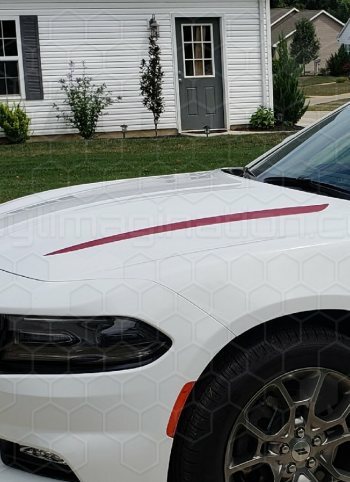 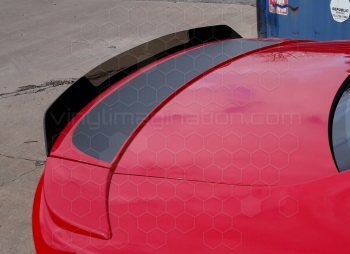 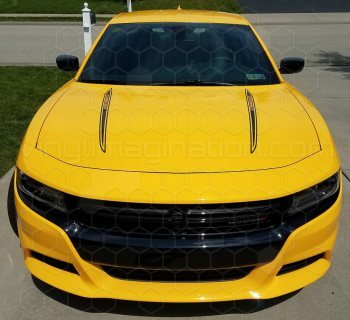 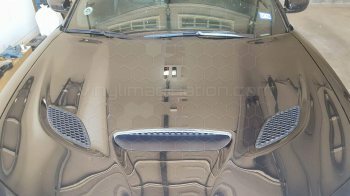 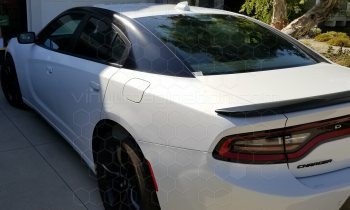 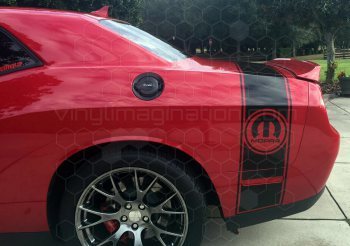 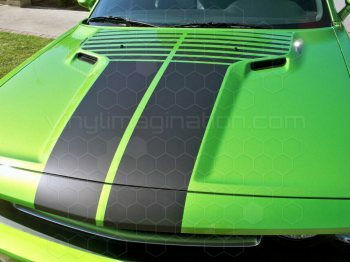 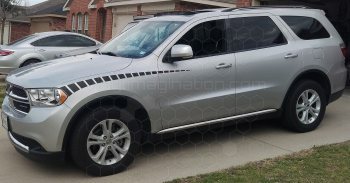 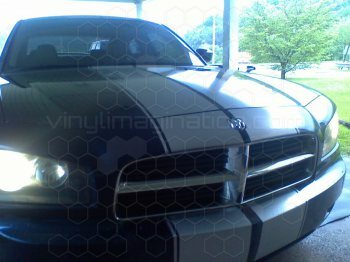 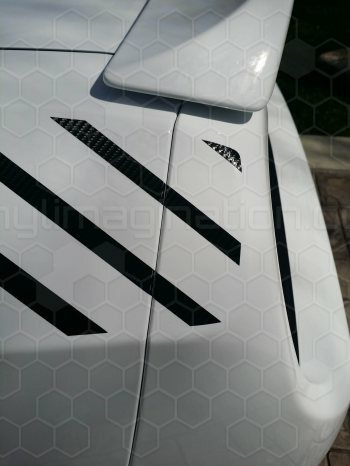 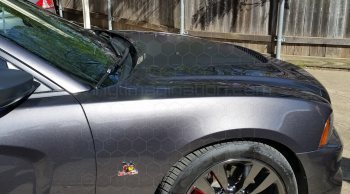 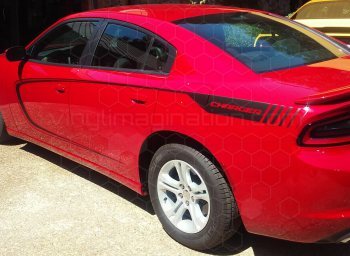 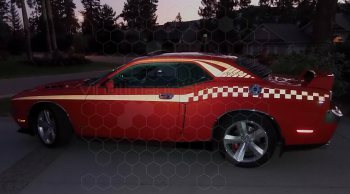 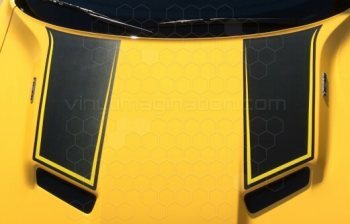 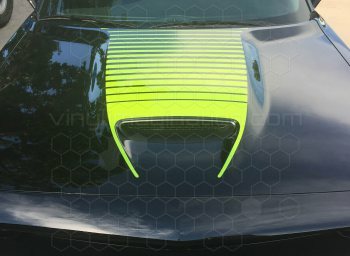 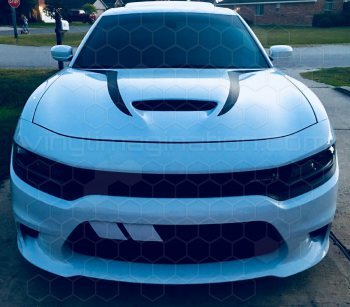 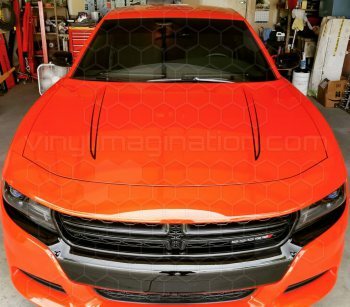 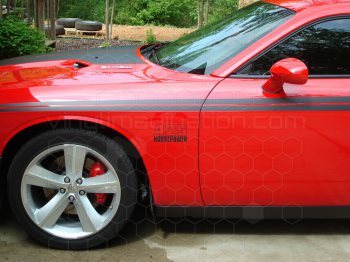 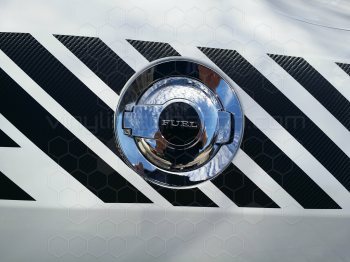 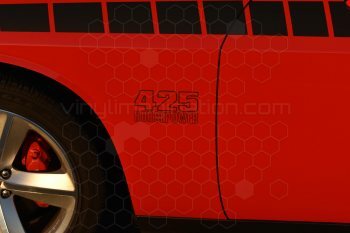 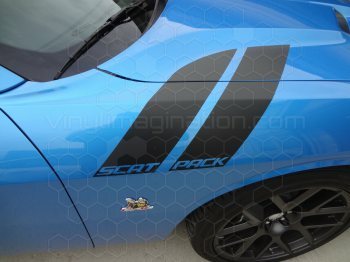 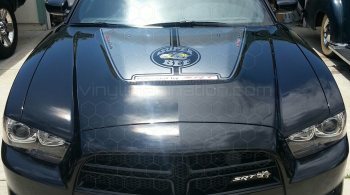 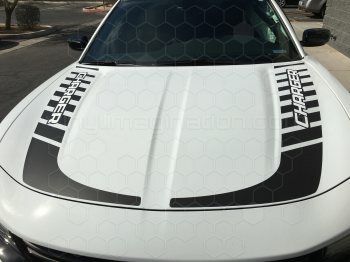 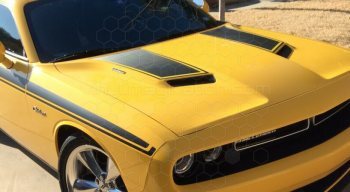 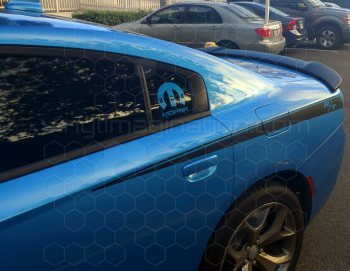 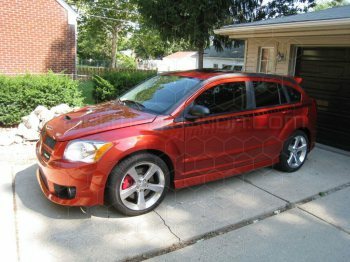 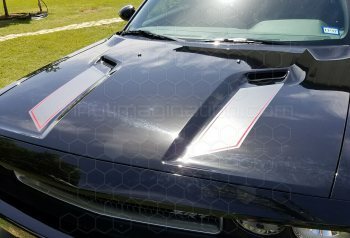 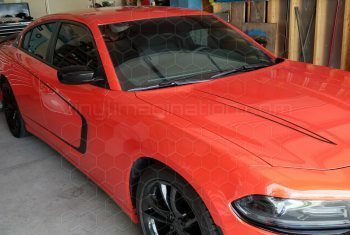 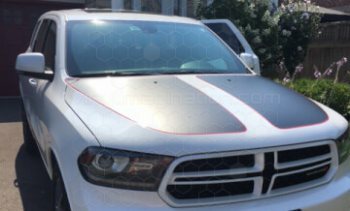 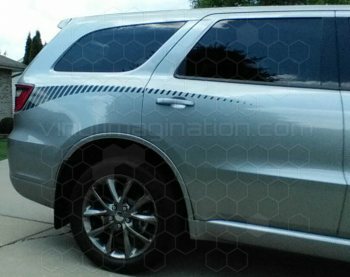 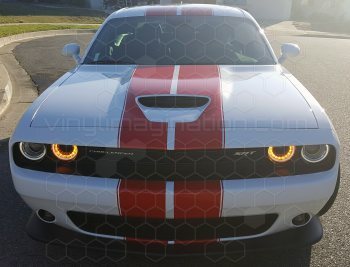 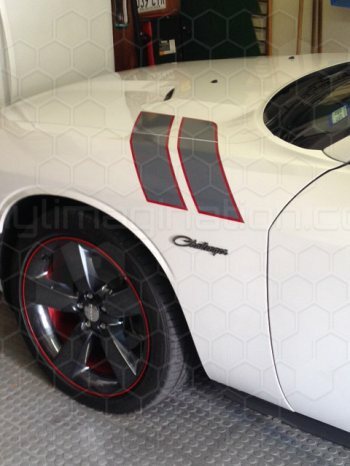 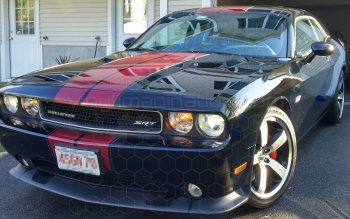 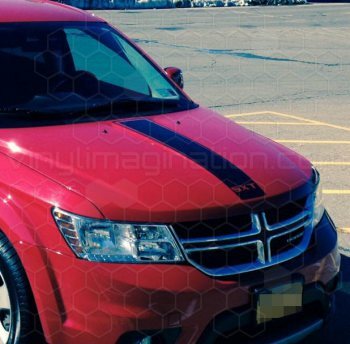 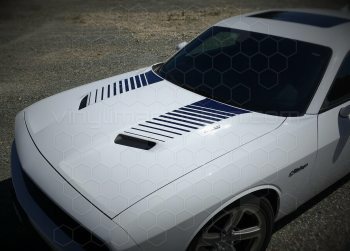 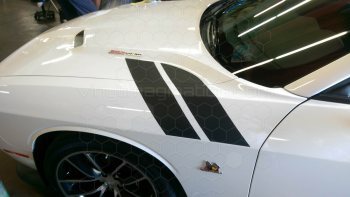 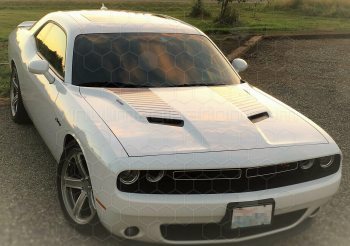 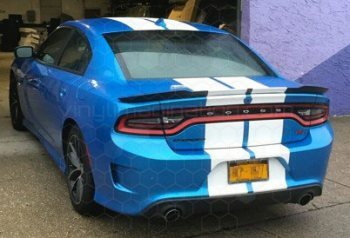 Vinyl Imagination - Precision Fitting Vehicle Specific Graphics, Stripes, and Decals for Chevy, Dodge, Fiat, Ford, Hyundai, Jeep Vehicles. 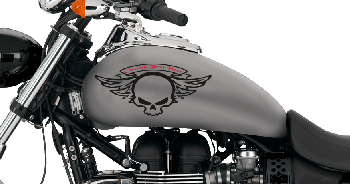 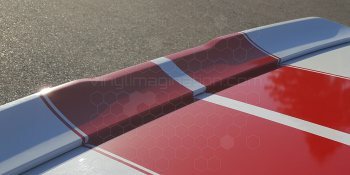 Motorcycle Decals, Trailer Decals and More! 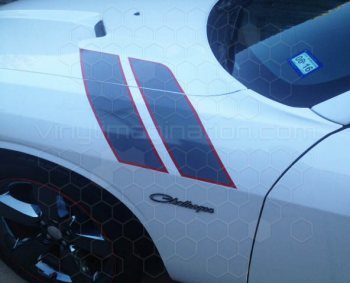 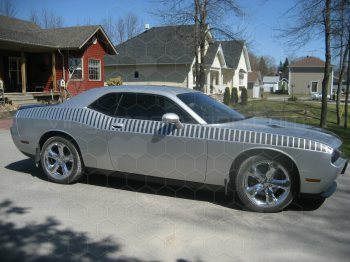 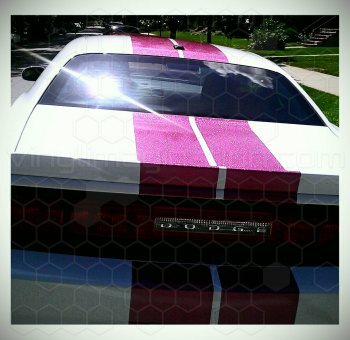 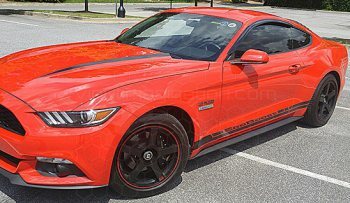 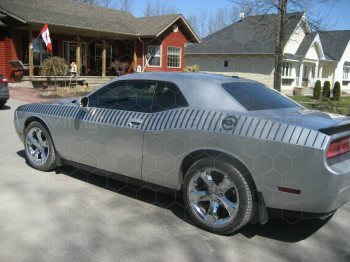 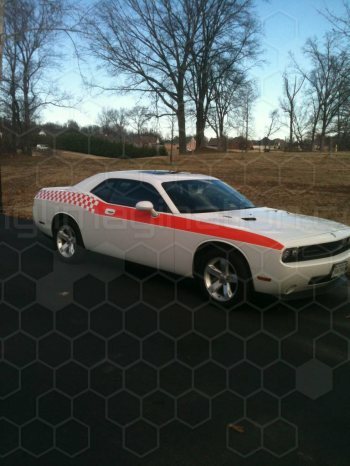 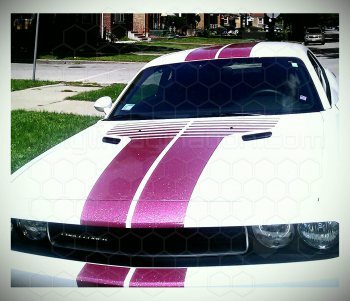 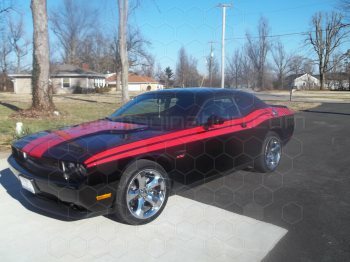 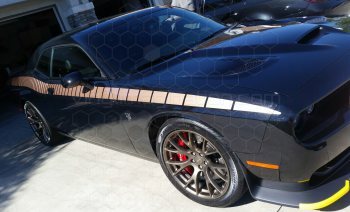 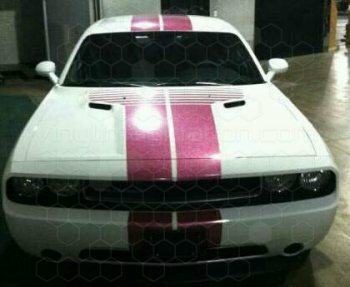 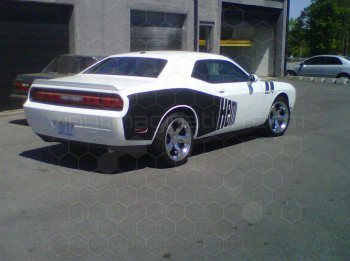 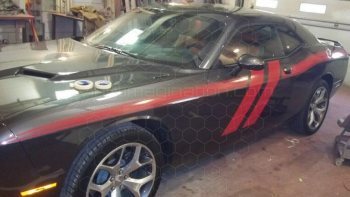 Click or Tap relevant featured vehicle to View the graphic, stripes and decals for that vehicle. 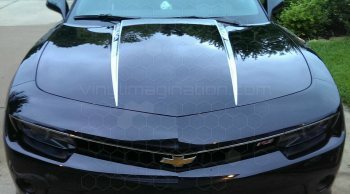 Below are the Chevy vehicles we currently have Graphics, Stripes, and Decal designs listed for on our website. 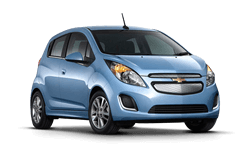 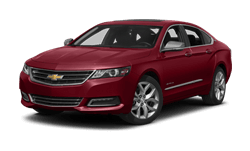 However, these are not the only Chevy vehicles or designs we have available. 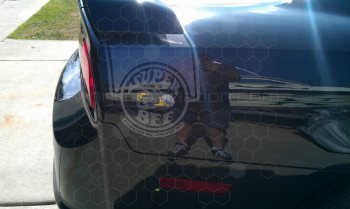 We are adding new Chevy vehicles that we produce graphics for all the time! 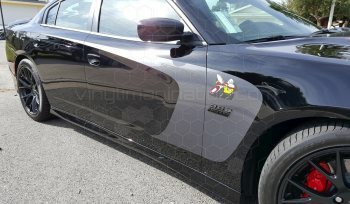 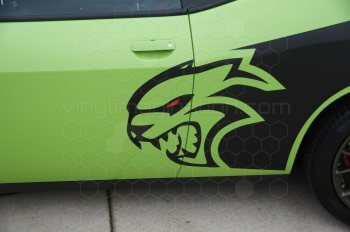 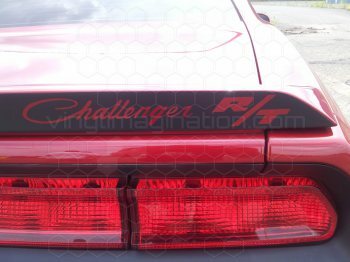 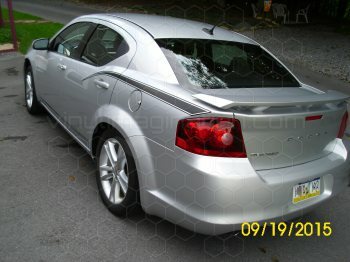 So, if you are looking for graphics for a Chevy vehicle that you don't currently see listed, please contact us. 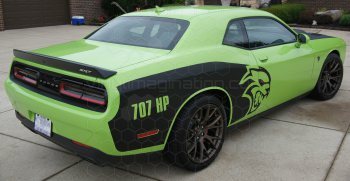 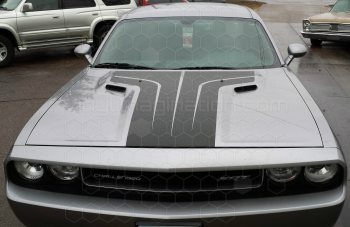 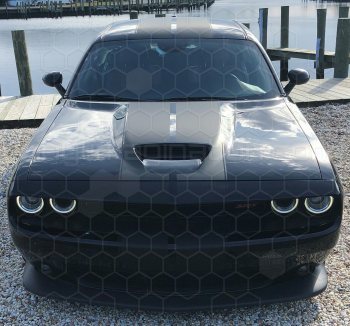 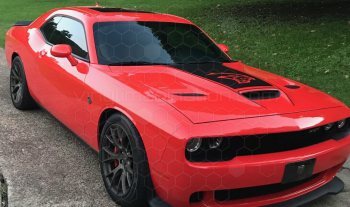 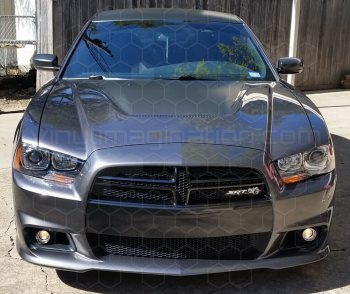 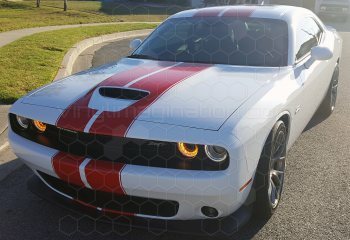 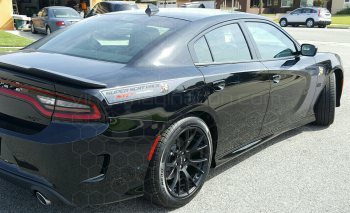 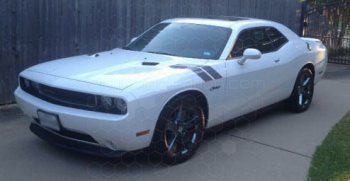 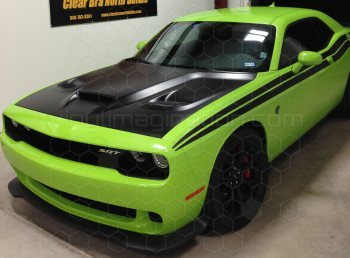 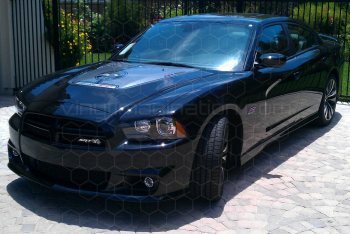 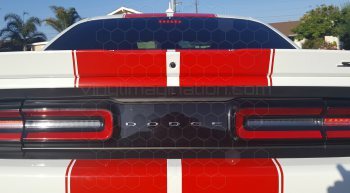 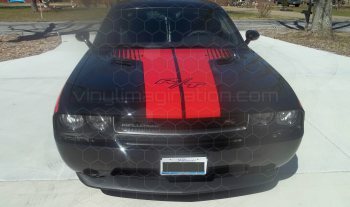 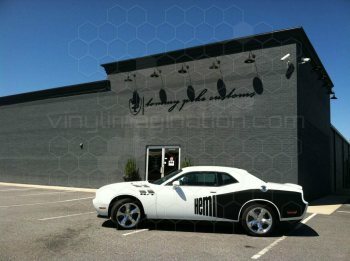 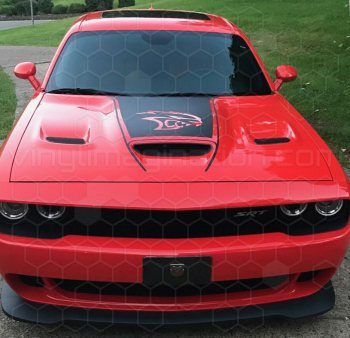 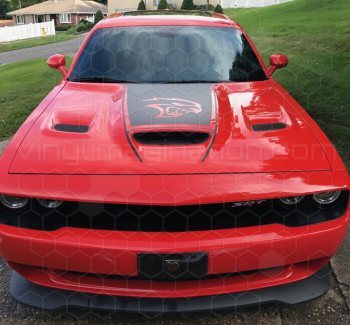 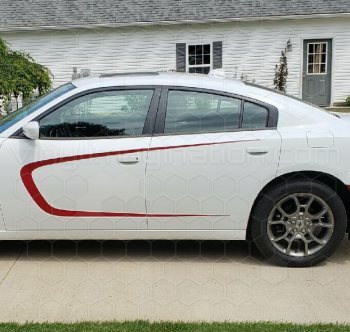 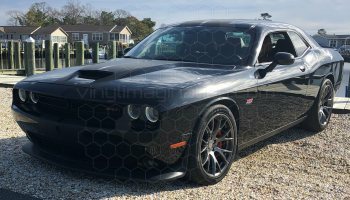 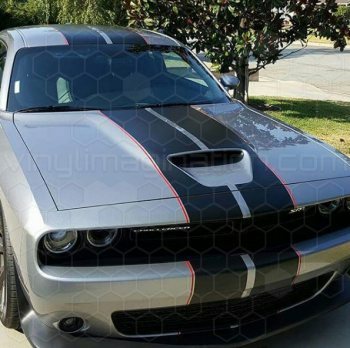 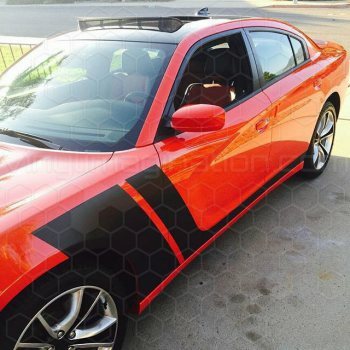 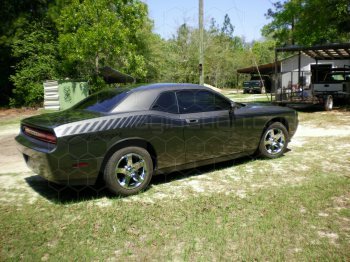 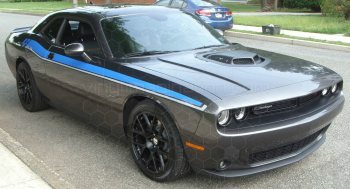 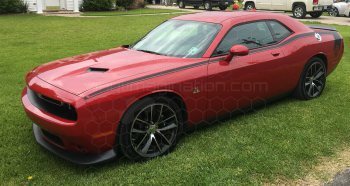 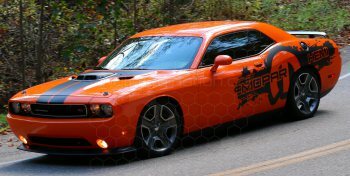 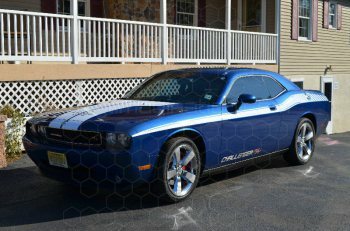 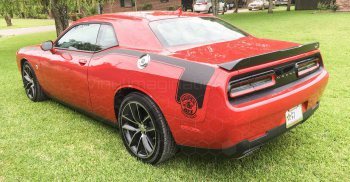 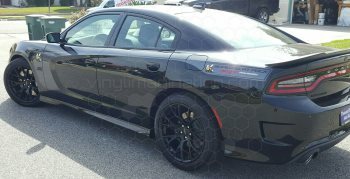 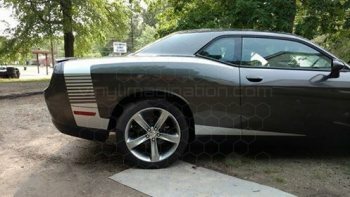 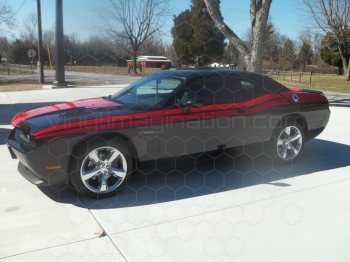 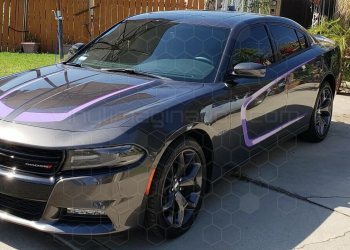 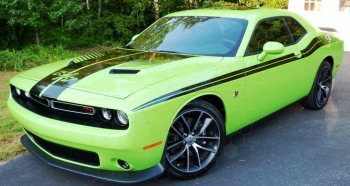 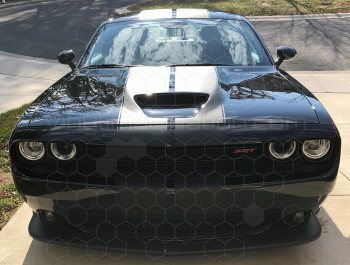 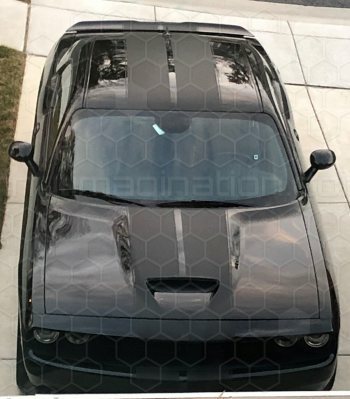 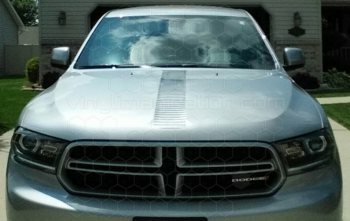 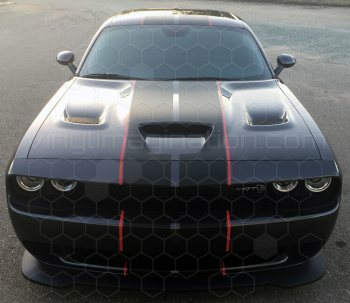 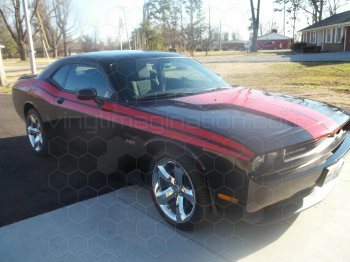 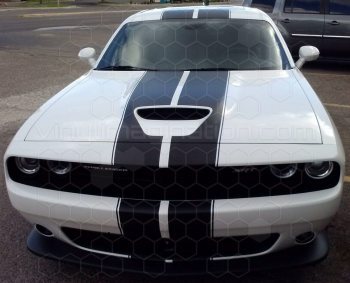 Below are the Dodge vehicles we currently have Graphics, Stripes, and Decal designs listed for on our website. 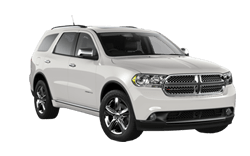 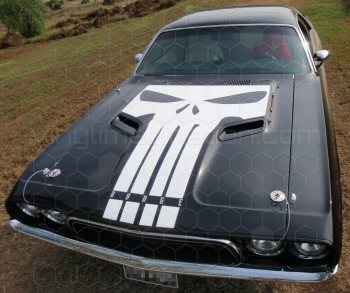 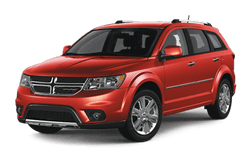 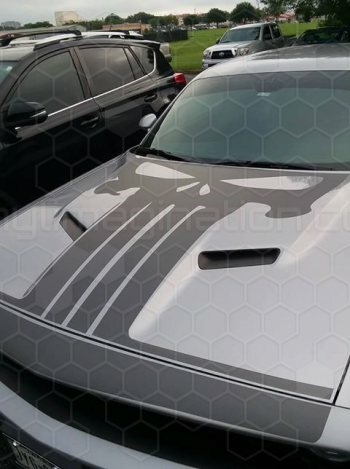 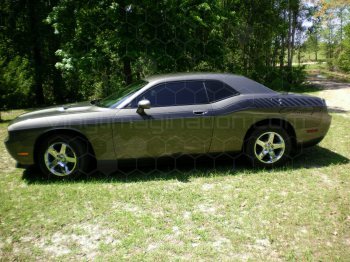 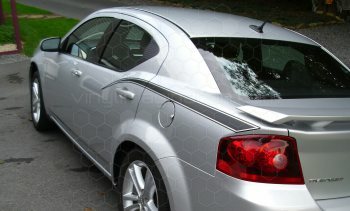 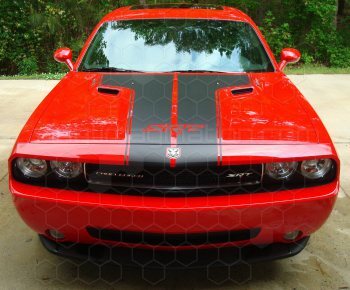 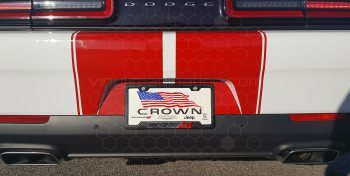 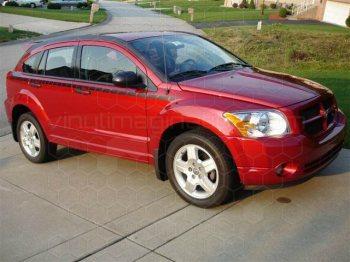 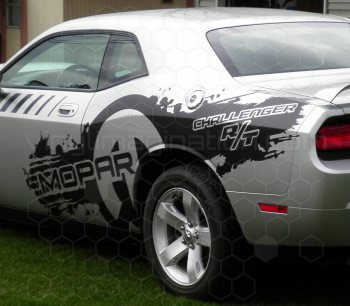 However, these are not the only Dodge vehicles or designs we have available. 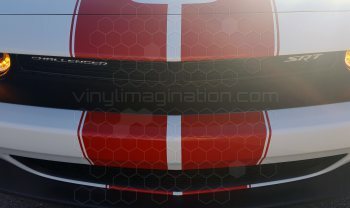 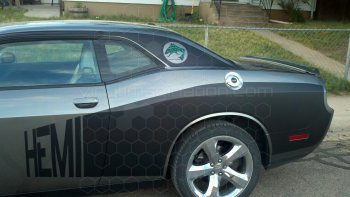 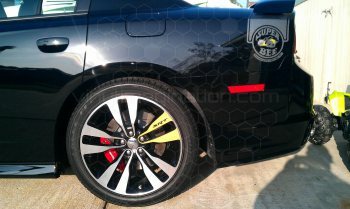 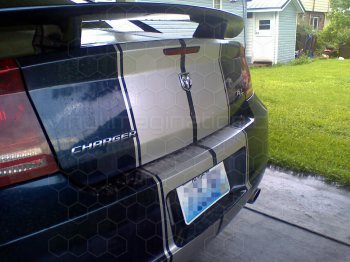 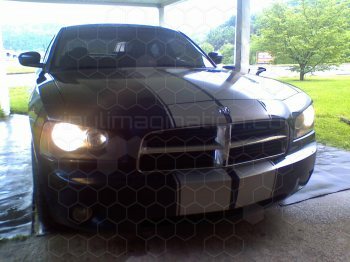 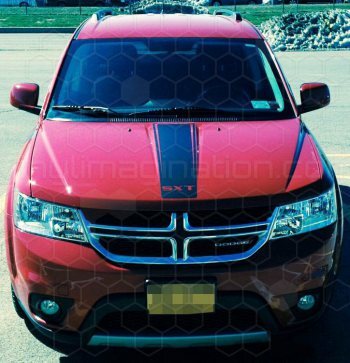 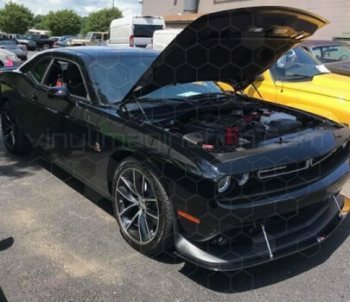 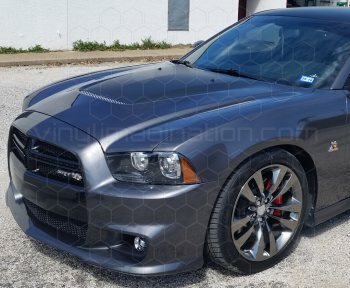 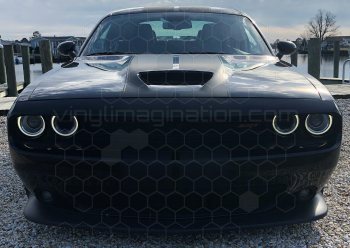 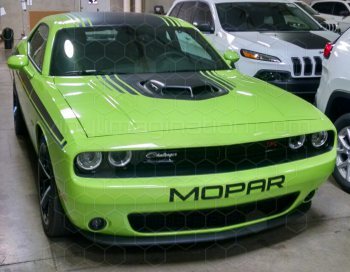 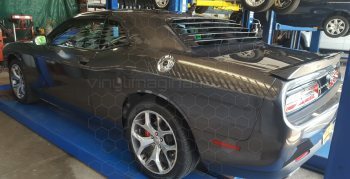 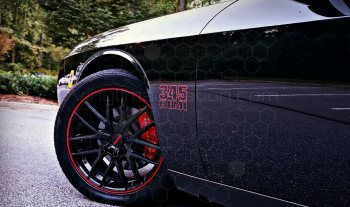 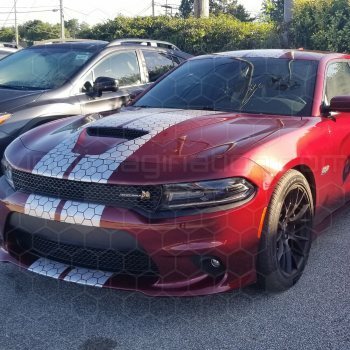 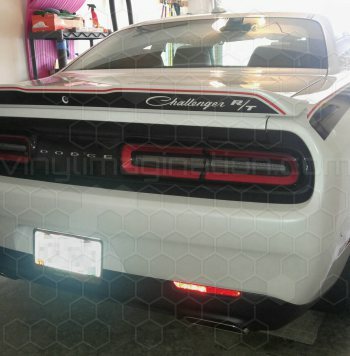 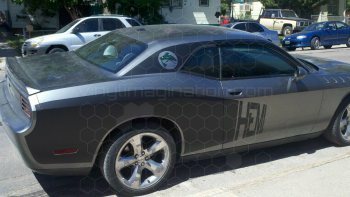 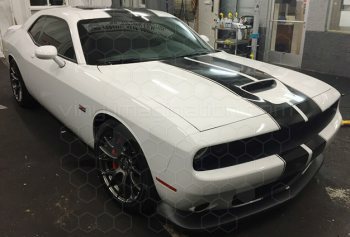 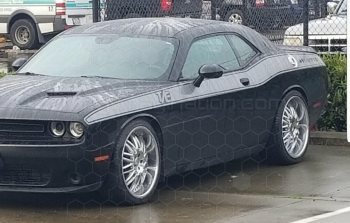 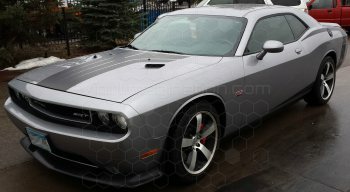 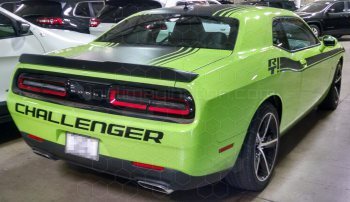 We are adding new Dodge vehicles that we produce graphics for all the time! 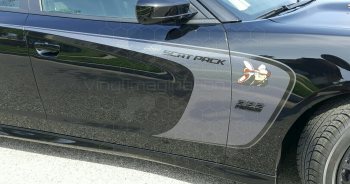 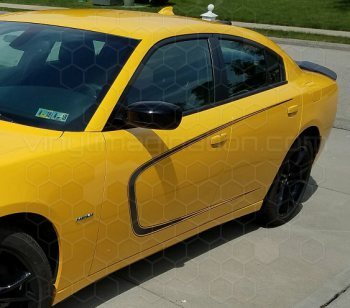 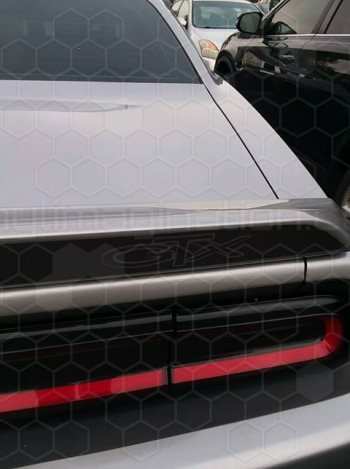 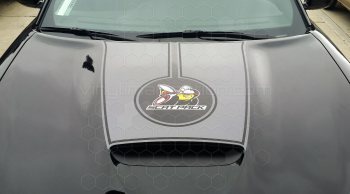 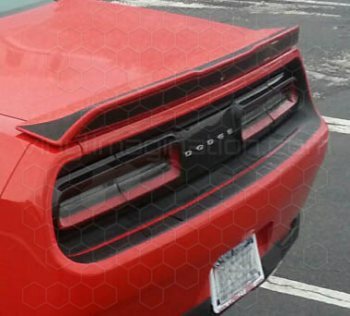 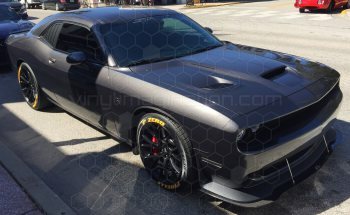 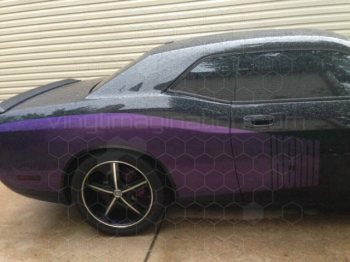 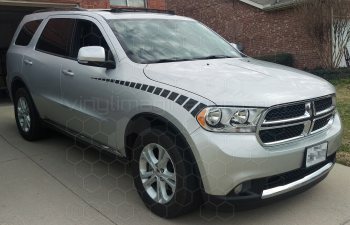 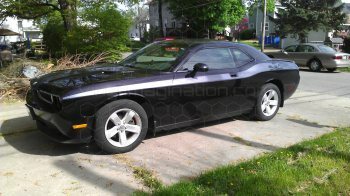 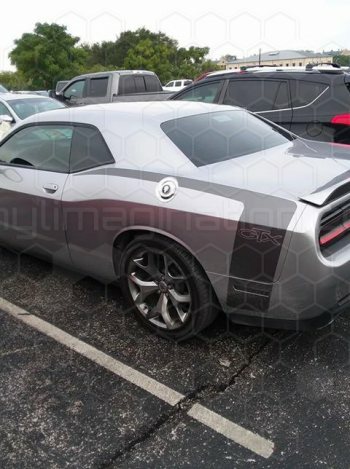 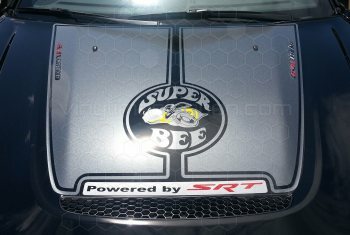 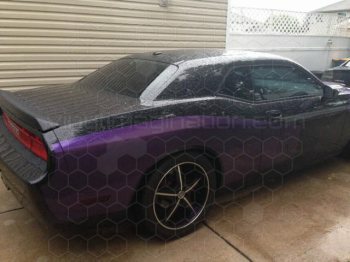 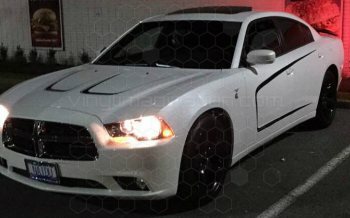 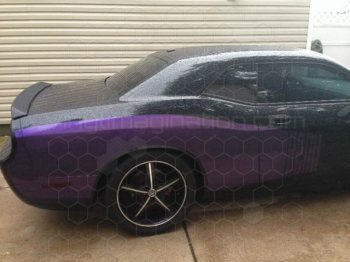 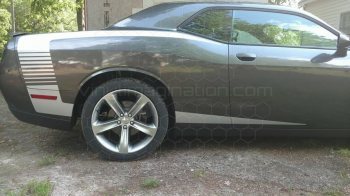 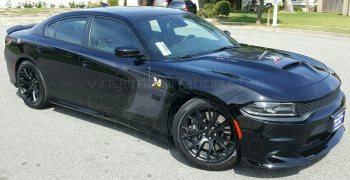 So, if you are looking for graphics for a Dodge vehicle that you don't currently see listed, please contact us. 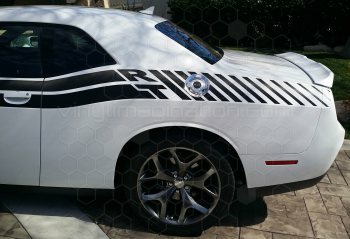 Below are the Fiat vehicles we currently have Graphics, Stripes, and Decal designs listed for on our website. 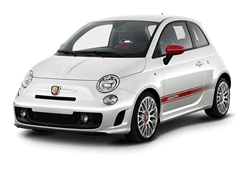 However, these are not the only Fiat vehicles or designs we have available. 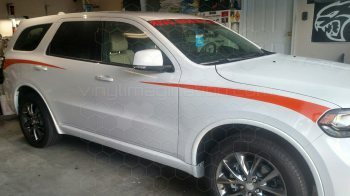 We are adding new Fiat vehicles that we produce graphics for all the time! 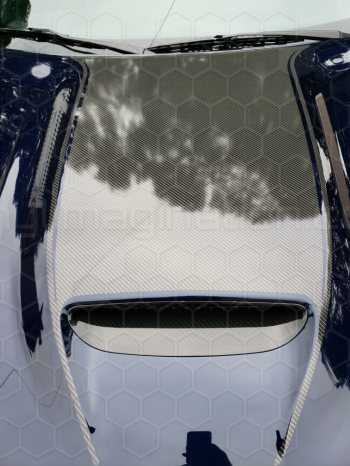 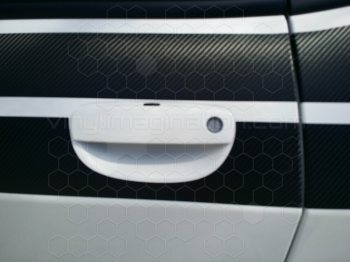 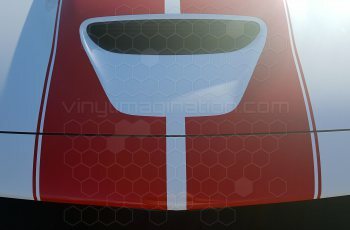 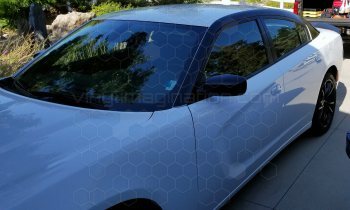 So, if you are looking for graphics for a Fiat vehicle that you don't currently see listed, please contact us. 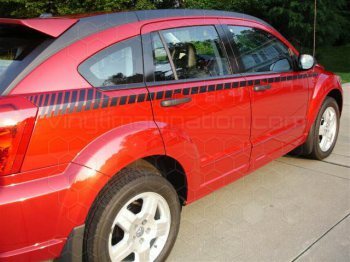 Below are the Ford vehicles we currently have Graphics, Stripes, and Decal designs listed for on our website. 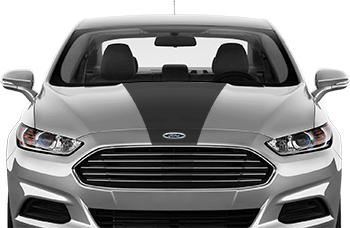 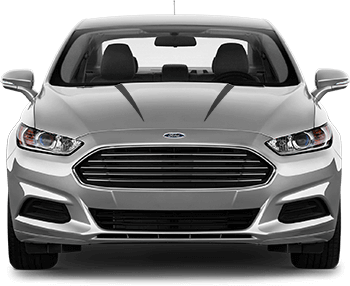 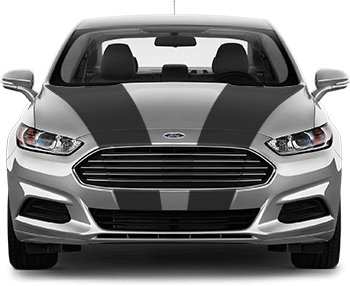 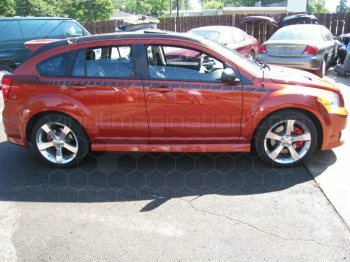 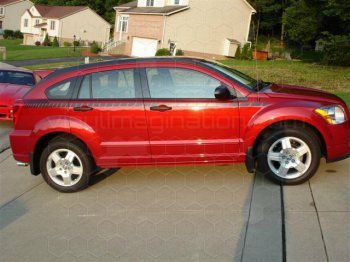 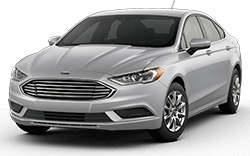 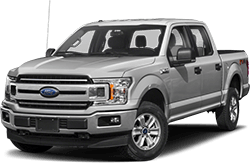 However, these are not the only Ford vehicles or designs we have available. We are adding new Ford vehicles that we produce graphics for all the time! 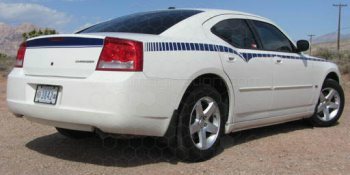 So, if you are looking for graphics for a Ford vehicle that you don't currently see listed, please contact us. 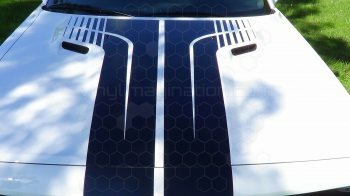 Below are the Hyundai vehicles we currently have Graphics, Stripes, and Decal designs listed for on our website. 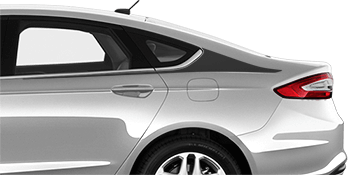 However, these are not the only Hyundai vehicles or designs we have available. 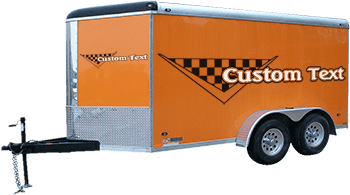 We are adding new Hyundai vehicles that we produce graphics for all the time! 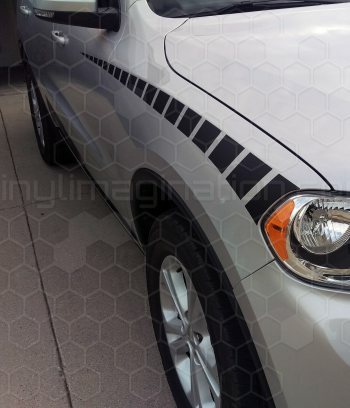 So, if you are looking for graphics for a Hyundai vehicle that you don't currently see listed, please contact us. Below are the Jeep vehicles we currently have Graphics, Stripes, and Decal designs listed for on our website. 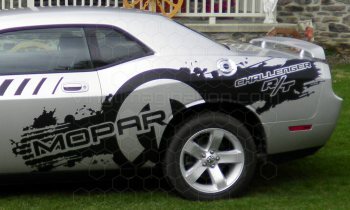 However, these are not the only Jeep vehicles or designs we have available. We are adding new Jeep vehicles that we produce graphics for all the time! 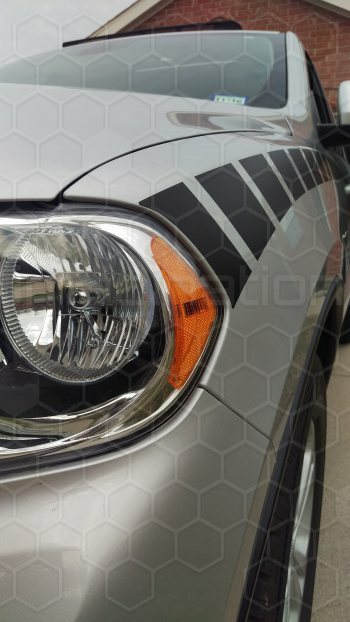 So, if you are looking for graphics for a Jeep vehicle that you don't currently see listed, please contact us. Remember, just because you don't see it, doesn't mean we don't have it or can't create it! If you don't ask, you won't find out, so please contact us, you can send us a picture, description, or a sketch on a napkin. We wil always do our absolute best to help you with your graphics needs. 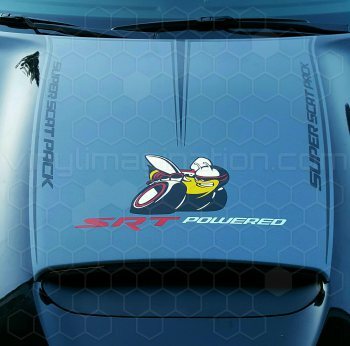 These precision computer cut Motorcycle Gas Tank graphics are fully customizable. 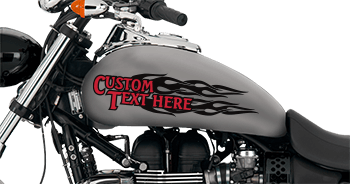 As with all of our graphics we allow you to choose color, material, brand of material, text, logo, and with these graphics you can also choose the size most suitable for your use. 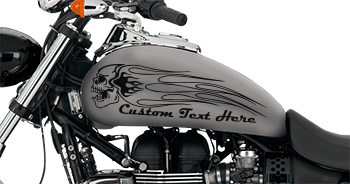 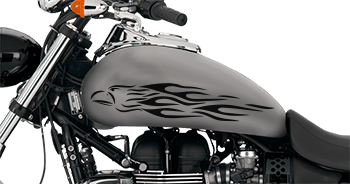 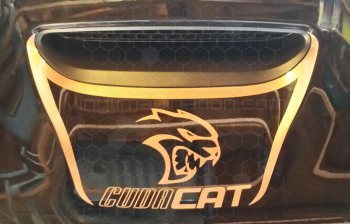 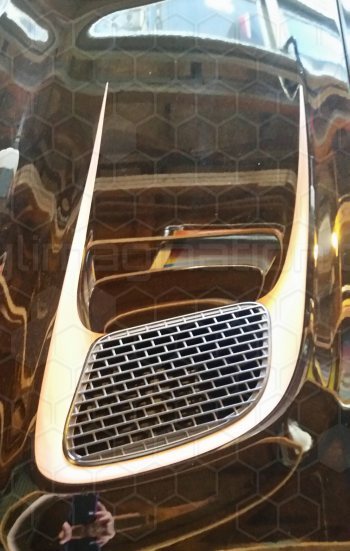 The graphics are suitable for Harley-Davidson, Indian, Victory, Yamaha, Honda, or any other manufacturer of motorcycle, including your own custom creation. 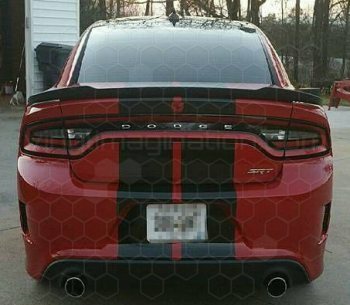 And as we always say "If you don't see it, ask!". We can create and produce what you are looking for, just contact us. 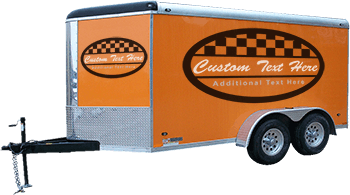 Currently Listed Trailer Graphics and Decals. 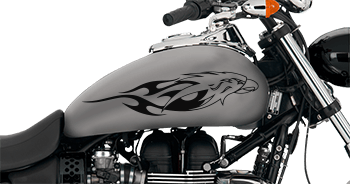 Please check in here to see current vehicles, and graphics we are working on. 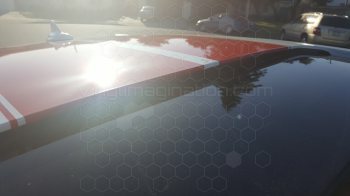 We will also be posting other news here regarding colors, materials etc. 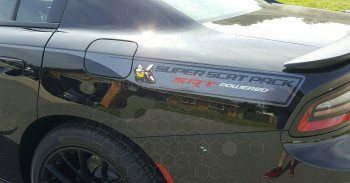 Avery Dennison has recently discontinued their SuperCast 900 (SC-900) material, and replaced it with SuperCast 950 (SC-950) material. 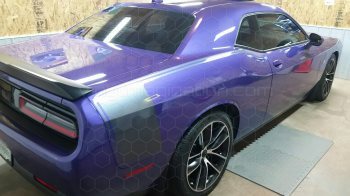 This material is a new and improved chemical formula, and most of the colors available in SC-900 will be available in SC-950. 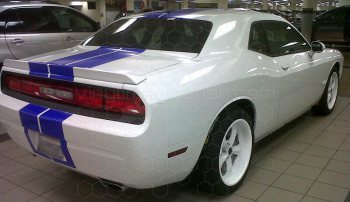 Please note that due to this change over, it may take a little more time to obtain non stock colors from Avery. 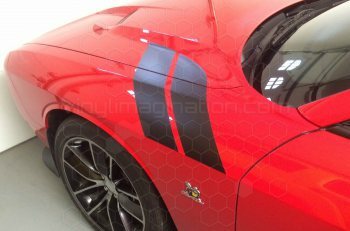 The quality of the material will not change and incertain areas will improve.